Another opening day for the 2012 MLB season, this time with an actual feel to it, with 7 games taking place instead of just one. The year of the pitcher? Seems like it again, with Justin Verlander and Roy Halladay looking as dominant as they were in 2011, leading their teams to their first wins. Matt Kemp had a nice start to the new ownership era for the Dodgers in San Diego, while the Toronto Blue Jays came out as the winners in Cleveland with a home run in the 16th inning in the longest opening day game in history. 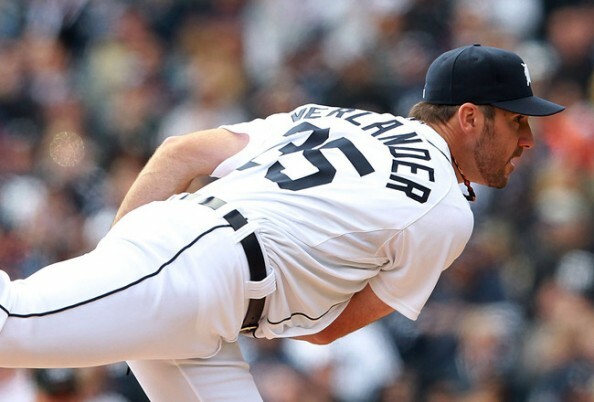 Austin Jackson got the Walk off home run, Jose Valverde got the blown save and the win, but it was about Justin Verlander’s pitching, just like last season, as the Detroit Tigers opened their highly anticipated 2012 season with a 3-2 win over the Boston Red Sox. Verlander, who won the AL MVP and Cy Young award in 2011 had no problem against the Boston lineup, allowing only two hits and one walk, striking out 7 players in 8 innings, but didn’t get the win thanks to his closer. 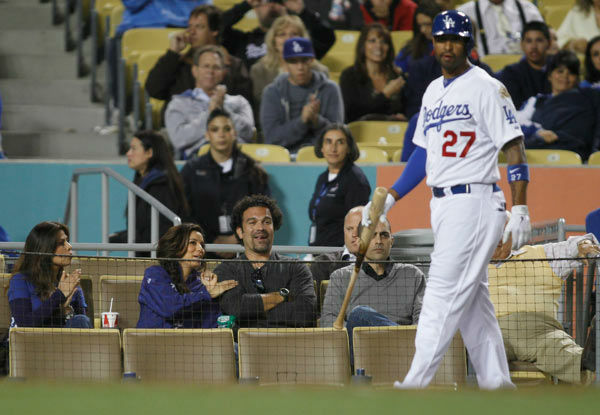 Prince Fielder got his first hit and RBI in Tiger uniform. 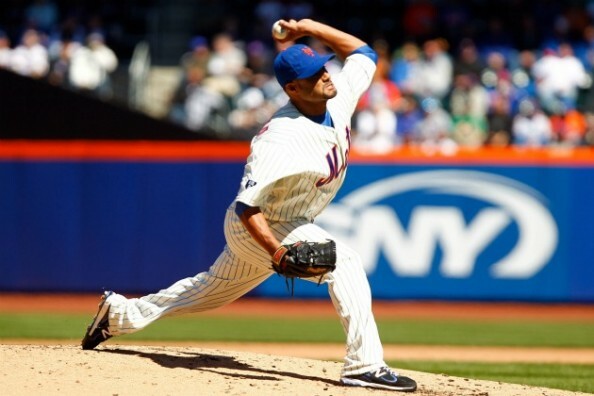 Johan Santana didn’t throw a single pitch in 2011, but started out 2012, coming off shoulder surgery, with 5 strong innings. The two time Cy Young winner struck out five Braves players, walking two and allowed two hits in a solid return to the Majors. The Mets won 1-0 thanks to David Wright who was one of three Mets players to get multiple hits on the day. The best pitcher in the National League had himself in quite a duel facing the Pirates’ Erik Bedard, who gave up the only run of the game via a Sac Fly. 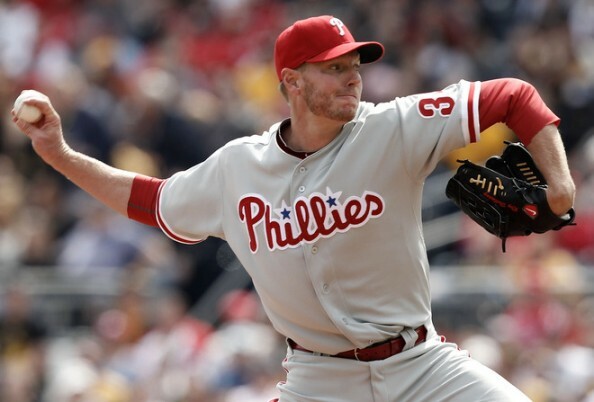 Halladay threw 8 innings, striking out five, allowing only two hits. Jonathan Papelbon got his first save as a Phillies player, closing out the 1-0 win in Pittsburgh. 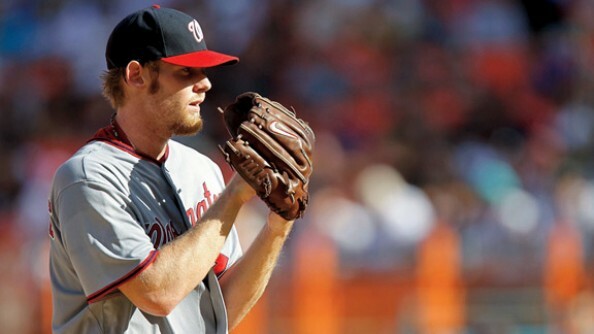 The Nats are planning on 160 innings this season for Strasburg, who missed most of 2011 due to injury problems. The 23 year old pitched for 7 innings against the Cubs, getting scored on only once during a windy day which the Nationals won 2-1 in Chicago, striking out 5 players in the process, with Brad Lidge closing Washington’s first win of the season. In Cleveland, they broke records, as the Blue Jays and the Indians teamed up for the longest opening day game in history, taking 16 innings to resolve. Three home runs were hit, including one by Jose Bautista, but the biggest one came in the 16th by J.P. Arencibia, sending home three runners. Cleveland’s Justin Masterson pitched 8 innings, striking out 10 hitters and allowing only one run. Blue Jays won 7-4. The Marlins are struggling generating offense, going down 4-0 in Cincinnati against the Reds. 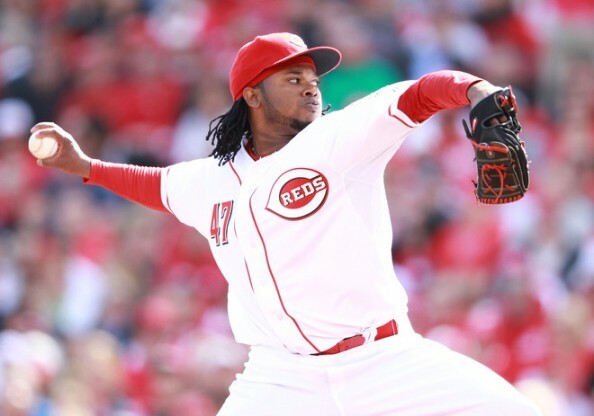 Johnny Cueto pitched 7 innings, striking four hitters, allowing only 3 hits, while the Reds’ bats kept ringing (10 hits), including a two run homer from Jay Bruce in the 8th to finish the game. Matt Kemp hit a two run homer in the 8th, driving in three on the day, as the Dodgers opened their new ownership era with a 5-3 win in San Diego against the Padres. Their Cy Young winning pitcher, Clayton Kershaw, pitched only 3 innings before leaving the game because of his flu, but the Dodgers used a lot of their Bullpen to hold on to the opening day win.